Car parking cannot be pre booked less than 24 hours in advance. Next, choose from multiple convenient parking locations, to best fit your needs. Welcome to online booking at ParkRDU. We are beta testing this website. 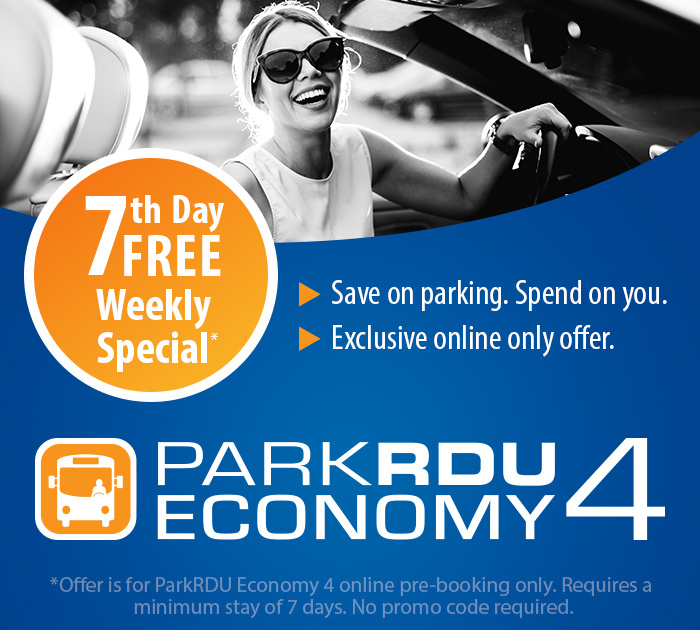 Schedule your parking for your next flight via RDU today. Upon return, online booking customers will be emailed a survey. Your insights will help us as we strive to improve your experience.